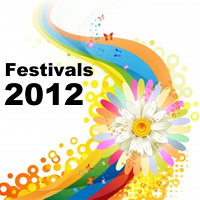 BRAND NEW: We have added a new Festival and Event page to our website and it’s free to list. Britain and Ireland has an eclectic mix of Festivals covering everything from films, books and music to science and art and we want to celebrate this diversity in our listings. They are an excellent day out whether you are on a weekend break, short break or holiday. Over the coming months we plan to add hundreds of Festivals and Events across England, Scotland, Wales and Ireland but if you want to add your Festival or Event to this page NOW simply contact us via Facebook, twitter or this blog. It’s completely free, we just require a photo or two, a description and contact/web details. We also promote Country Shows, Gardens to Visit and Holiday Attractions, see website for further information.